and studying the basic conditions of Shandong, making policies, and guiding the development of society and economy. development of society and economy and showing the achievements in statistics of Shandong Province. Security ; 5. Investment in Fixed Assets; 6. Foreign Trade and Tourism; 7. Energy; 8. Government Finance and Banking; 9. Price Indices; 10.
of Counties (Cities and Districts at County Level). In brief introduction at the beginning of each chapter, main coverage of this chapter, data sources and statistical coverage are concerned. statistical indicators, such as definition, statistical methods, statistical coverage and statistical scope. annual data. Data in Shandong Statistical Yearbook are all verified and should be based on this standard. book and to offer readers better service. Ⅰ.Shandong Statistical Yearbook is an annual publication,which covers very comprehensive data and reflectsvarious aspects of Shandong’s social and economic development.It can also work as an important and historicalreference book which will play a great role in comprehending and studying the basic conditions of Shandong,makingpolicies,and guiding the development of society and economy. 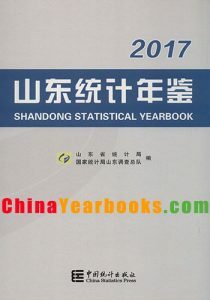 Ⅱ.The yearbook contains the following three parts:part one feature,part two statistics and part three appendixes.Feature mainly includes Government Work Report,Shandong Statistics Communique and Summary of ShandongStatistical Undertaking,comprehensively reflecting the development of society and economy and showing theachievements in statistics of Shandong Province. Part 2 contains the following twenty-one chapters,1.General Survey;2.National Accounts;3.Population;4.Employment,Wages and Social Security;5.Investment in Fixed Assets;6.Foreign Trade,Tourism and DevelopmentZone;7.Energy;8.Government Finance and Banking;9.Price Indices;10.People’s Livelihood;11.City Construction;12.Natural Resources and Environment;13.Agriculture;14.Industry;15.Construction;16.Service Enterprise AboveDesignated Size;17.Transport,Postal and Telecommunication Services;18.Wholesale,Retail,Hotels and CateringServices;19.Education,Science and Technology;20.Culture,Sports and Health;21.Public Management and SocialServices;22.Main Indicators of Counties(Cities and Districts at County Level). In brief introduction at the beginning of each chapter,main coverage of this chapter,data sources and statisticalcoverage are concerned.In addition,explanatory notes on main statistical indicators are provided at the end of eachchapter,giving a brief explanation of statistical indicators,such as definition,statistical methods,statistical coverageand statistical scope. Appendix contains the main economic indicators of some other provinces(municipality),international statisticsand Events of Shandong Provincial Bureau of Statistics. Ⅲ.Data used in Government Work Report and Shandong Statistics Communique are preliminary statistics.data inother chapters is official annual data.Data in Shandong Statistical Yearbook are all verified and should be based on thisstandard. Ⅳ.In Shandong Statistical Yearbook,statistical definitions,statistical coverage,statistical methods and prices areadjusted according to the current state statistical standards,and all changes have been noted at the end of the table or inthe explanatory notes.Data in value terms are calculated at current prices if there are no notes.Statistical discrepancieson totals and relative figures due to rounding are not adjusted. Ⅴ.After this yearbook was published,it has received lots of concerns and support from readers whom we shouldthank.Because of our ability,it is inevitable that there are shortcomings in this book,so we welcome all candidcomments and criticism from our readers to perfect this book and to offer readers better service. 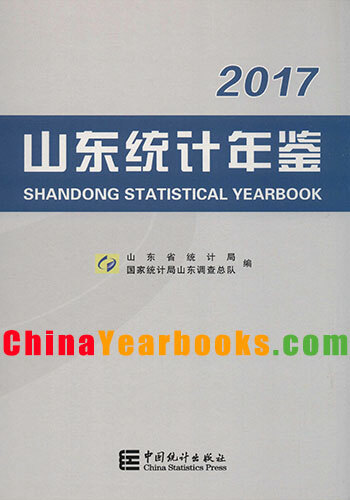 I. Shandong Statistical Yearbook is an annual publication, which covers very comprehensive data and reflects various aspects of Shandong’s social and economic development. It can also work as an important and historical reference book which will play a great role in comprehending and studying the basic conditions of Shandong, making policies, and guiding the development of society and economy. II. The yearbook contains the following three parts: part one feature, part two statistics and part three appendixes. Feature mainly includes Government Work Report, Shandong Statistics Communiqué and Summary of Shandong Statistical Undertaking, comprehensively reflecting the development of society and economy and showing the achievements in statistics of Shandong Province. Part 2 contains the following twenty-one chapters, 1. General Survey; 2. National Accounts; 3. Population; 4. Employment, Wages and Social Securities ; 5. Investment in Fixed Assets; 6. Foreign Trade, Tourism and Development Zone; 7. Energy; 8. Government Finance and Banking; 9. Price Indices; 10. People’s Livelihood; 11. City Construction; 12. Natural Resources and Environment; 13. Agriculture; 14. Industry; 15. Construction; 16. Transport, Postal and Telecommunication Services; 17. Wholesale, Retail, Hotels and Catering Services; 18. Education, Science and Technology; 19. Culture,Sports and Health；20.Public Management and Social Services;21. Main Indicators of Counties (Cities and Districts at County Level). In brief introduction at the beginning of each chapter, main coverage of this chapter, data sources and statistical coverage are concerned. In addition, explanatory notes on main statistical indicators are provided at the end of each chapter, giving a brief explanation of statistical indicators, such as definition, statistical methods, statistical coverage and statistical scope. 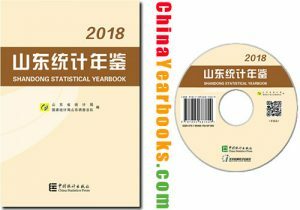 Appendix contains the main economic indicators of some other provinces (municipality), international statistics and Events of Shandong Provincial Bureau of Statistics. III. Data used in Government Work Report and Shandong Statistics Communiqué are preliminary statistics. data in other chapters is official annual data. Data in Shandong Statistical Yearbook are all verified and should be based on this standard. IV. 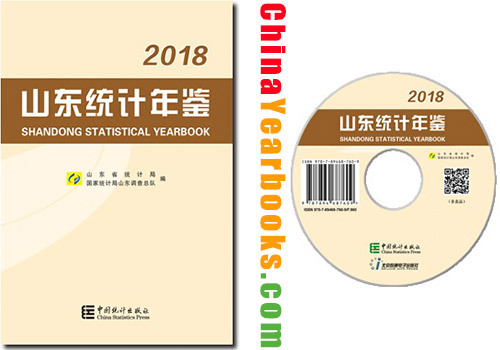 In Shandong Statistical Yearbook, statistical definitions, statistical coverage, statistical methods and prices are adjusted according to the current state statistical standards, and all changes have been noted at the end of the table or in the explanatory notes. Data in value terms are calculated at current prices if there are no notes.Statistical discrepancies on totals and relative figures due to rounding are not adjusted. V. After this yearbook was published, it has received lots of concerns and support from readers whom we should thank. Because of our ability, it is inevitable that there are shortcomings in this book, so we welcome all candid comments and criticism from our readers to perfect this book and to offer readers better service.